Opening Party - Saturday, January 11, 2014. 8pm - til - Late pm. 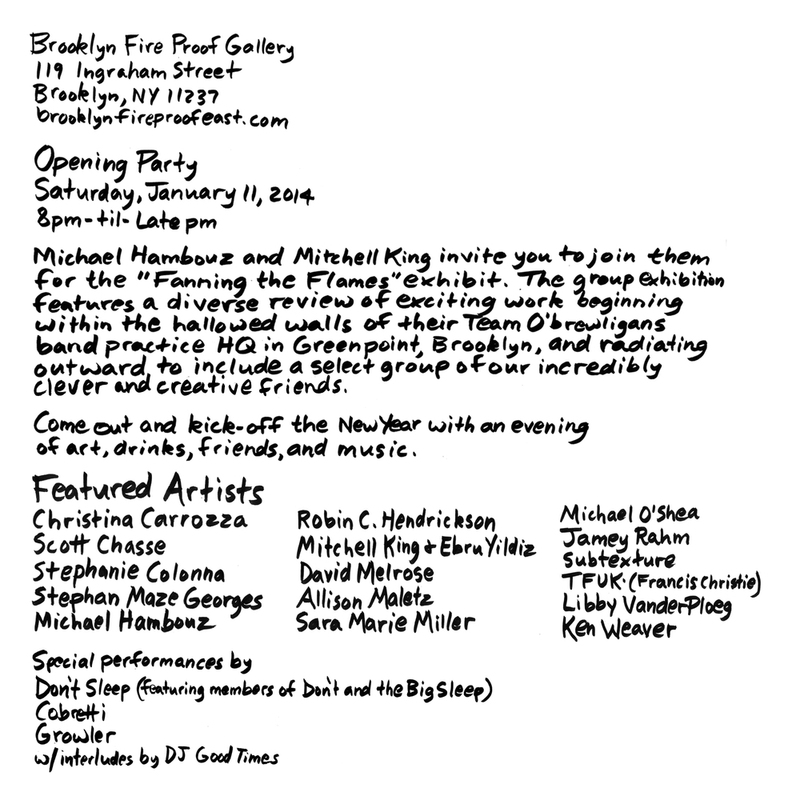 Michael Hambouz and Mitchell King invite you to join them for the “Fanning The Flames” exhibit. The group exhibition features a diverse review of exciting work beginning within the hallowed walls of their Team O'brewligans band practice HQ in Greenpoint, Brooklyn, and radiating outward to include a select group of their incredibly clever and creative friends. Come out and kick-off the New Year with an evening of art, drinks, friends, and music!